Comtek has an accomplished repair and test facility for the repair to component level of all elements of Marconi Md202 optical SDH, a remotely configurable Digital Cross Connect for provision of 64 kbit/s Leaded Lines and On Demand Circuits. All cards are fully statically and dynamically function tested on our gold standard test facility with the provision for soak testing modules to ensure intermittent faults are eliminated. Comtek repairs the Marconi SMA16 range of products. We regularly repair the complete range of Marconi SMA16 cards and chassis. 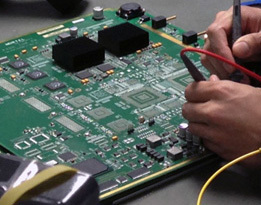 Our Marconi trained engineers are experts in the repair of Marconi SMA16 products.